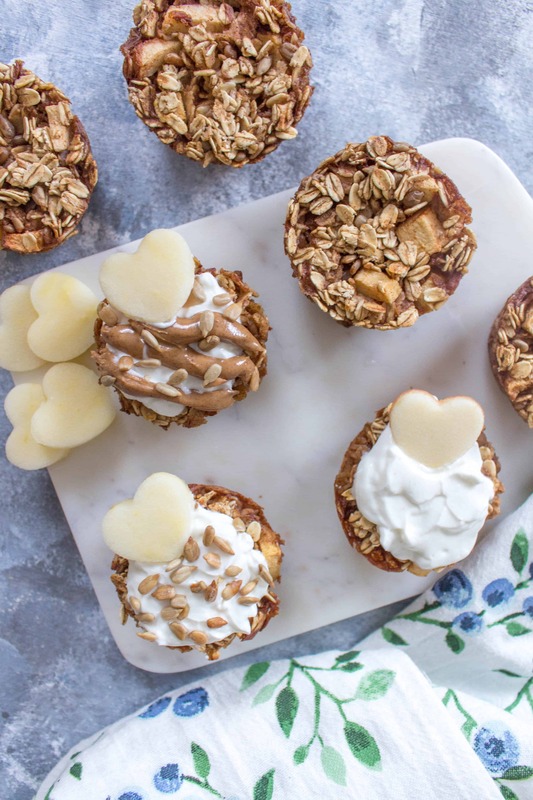 Start your morning off deliciously with these freezer friendly healthy baked apple oatmeal cups! Disclaimer: This post was made in partnership with Ontario Apple Growers. 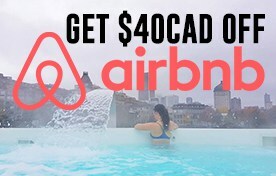 Thanks for sponsoring this post OAG! You know what they say: an apple a day keeps the doctor away! 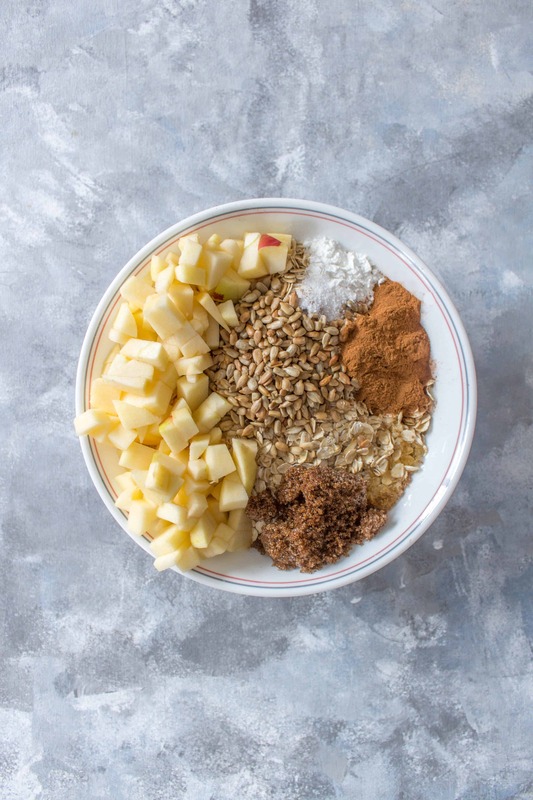 So why not start your day with a delicious healthy breakfast apple oatmeal cup? They’re so easy to make, freezer friendly, and you can mix them up with fun toppings. I really love how versatile and easy Ontario Grown Apples are to cook with – they can be made into delicious desserts or in this case, a yummy breakfast meal prep. Plus, apples are also super affordable so if your new year’s resolution is to lower your grocery bill and eat healthier, pick up some Ontario Apples! Just remember to look for the Foodland logo to make sure that you are buying Ontario grown apples. 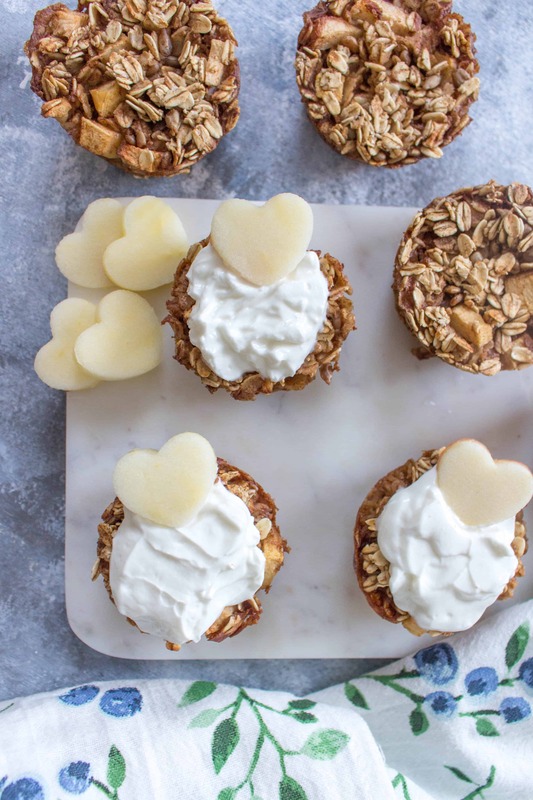 For these yummy freezer friendly healthy baked apple oatmeal cups, I used Ambrosia apples because I love the way they taste. 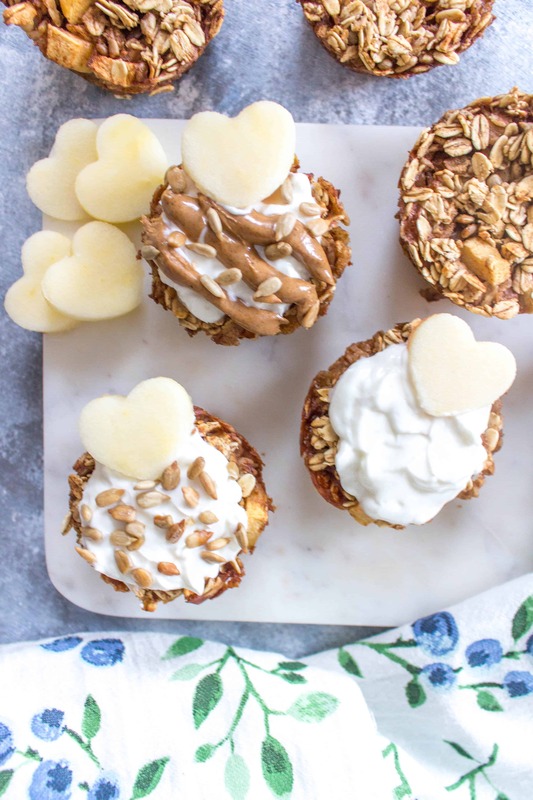 These apple oatmeal breakfast cups are super easy to make and you can change up the toppings daily so if you have picky eaters at home, this should keep them from complaining! I personally love to top them off with a scoop of yogurt, a drizzle of almond butter, and some sunflower seeds and apples to give it an additional crunch. Other things you can put on it are chia seeds, hemp hearts, other fruits, jam, and more! 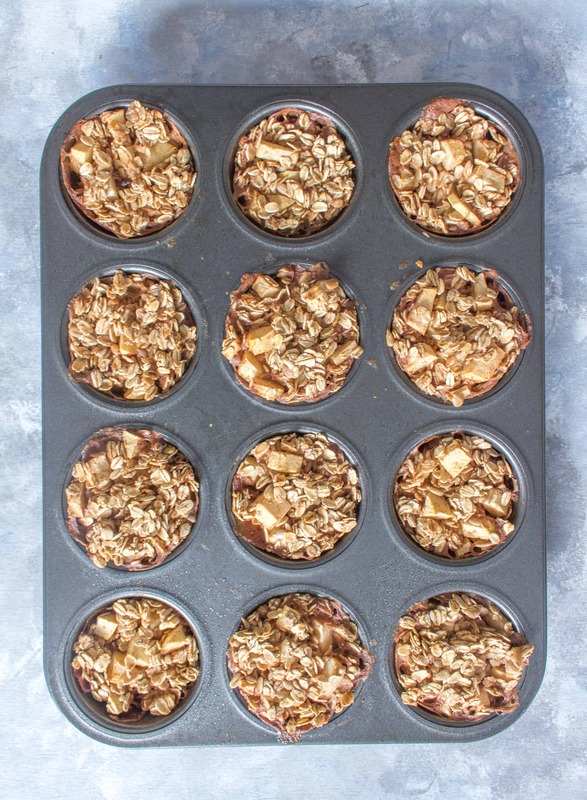 You’ll need a 12-cup muffin tin is a must for these oatmeal cups. You can get a non-stick one, I don’t own one so I just lightly spray my muffin tin with pam. I also used an ice cream scoop to make it easier to get the mixture into the pan. 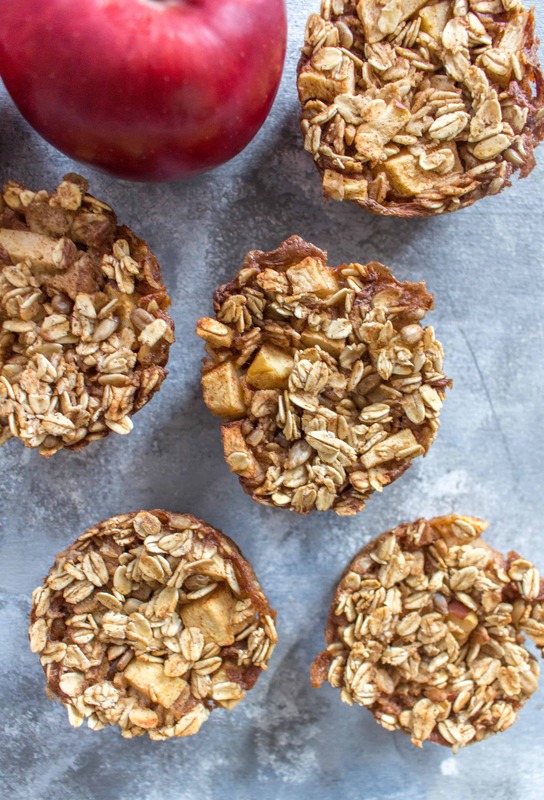 These apple oatmeal breakfast cups are super easy to make and you can change up the toppings. Plus they're freezer friendly! Bake the oatmeal cups for 20 minutes, or until cooked through. Let it cool before removing it from the muffin tin or it might not keep its shape. Optional: top them off with the toppings of your choice such as yogurt, almond butter, more apple pieces and sunflower seeds. Freeze them & thaw them out as needed. You can also re-bake them at 350 for 10 minutes. Let’s Chat! What’s your favourite freezer friendly meal? Want more breakfast ideas? Check these out! I’m definitely going to need to go get some apples so I can make this!! I am all about the freezer friendly, make ahead and easy meal prep recipes! You got me covered with this tasty recipe! ohh these look so good and they’re freezeable! yum! LOVE me some oatmeal cups! I have to try this version. Omg these look amazing…and tasty…and need to get in my belly STAT! Not gonna lie. These look like the best things EVER and I’m making them tomorrow. These are so cute, and I love that you can freeze them! These sound so perfect for breakfast! 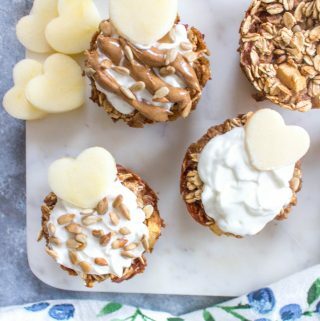 I love apples and oatmeal, so these are perfect! Wow, those look so yummy. I love the topping options and your cute little heart! Sounds like they would be great to pull out of the freezer on one of those crazy hectic mornings. These look really tasty and I love stuff I can freeze and grab in the morning. Definitely will be giving these guys a go! I have been loving on oatmeal lately, but love the freezer-friendly version. This looks great! This is such a fun idea! I think it would be great for a brunch party! 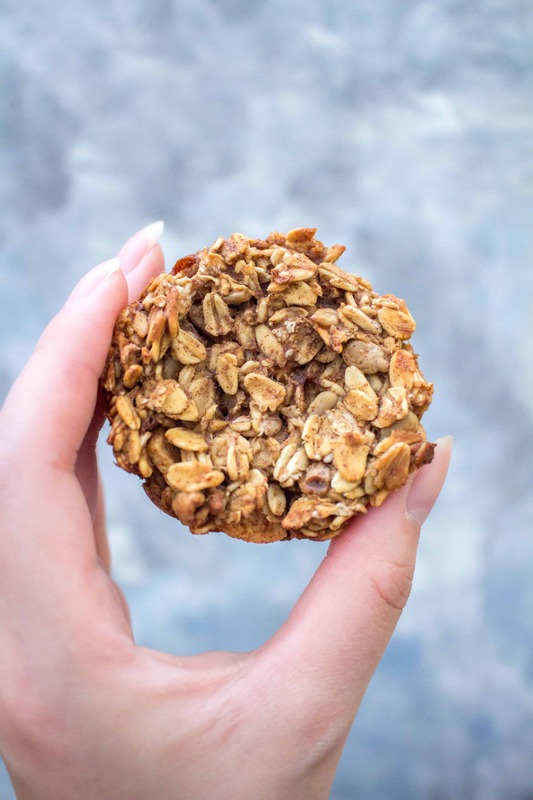 You could have an oatmeal cup bar with lots of different toppings! Made these this morning. Didn’t have enough honey so I swapped with maple syrup and I didn’t have sunflower seeds so I used pine nuts. Pretty darn delicious!! Yay!!! Thanks for coming back to leave a review and let me know. I bet it was delicious with pine nuts!! 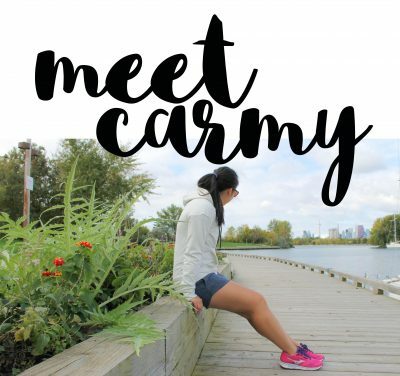 These oatmeal cups make the perfect breakfast recipe, Carmy! Excellent combination of healthy and nutrient-dense ingredients. 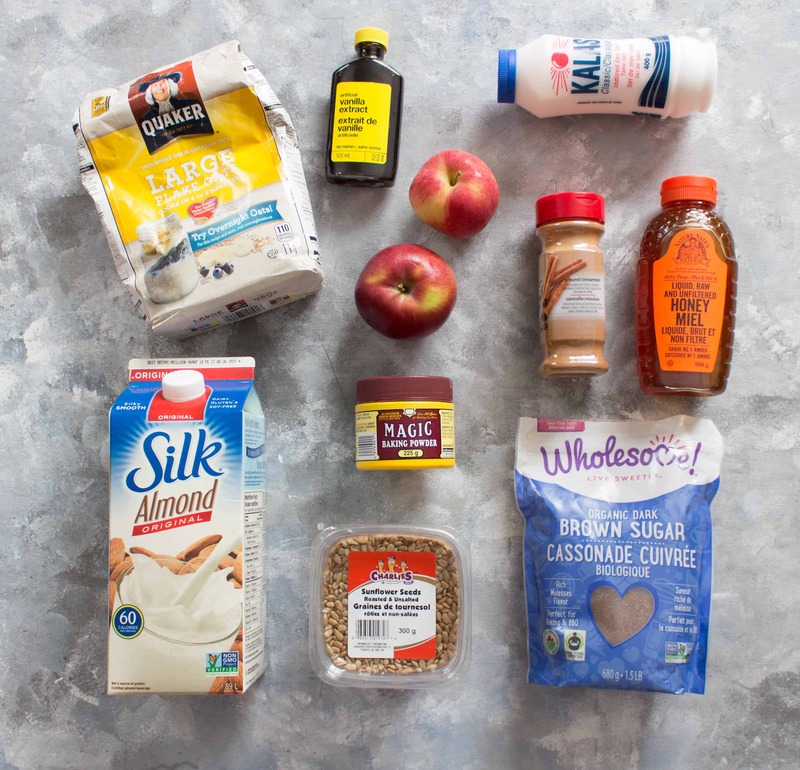 Can I substitute almond milk with coconut milk?